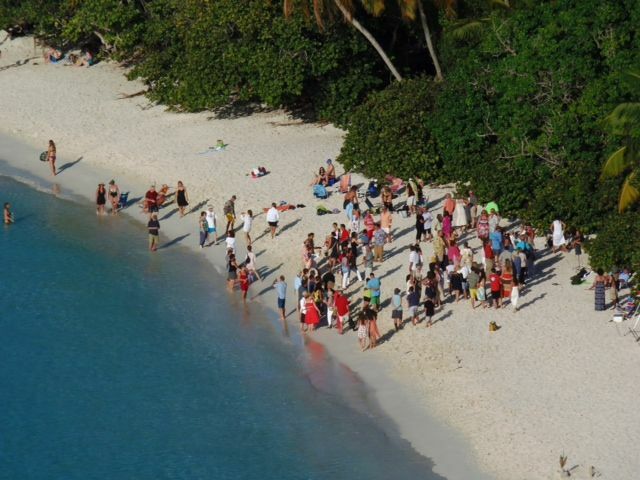 Celebration of Love ceremony held at Trunk Bay on St. John. Linda and Allen Strahl of Greenfield, Ind. Married for nearly 47 years, Linda and Allen Strahl of Greenfield, Ind., celebrated their long-lasting love Friday along with 99 other couples by renewing their wedding vows at the 12th annual Celebration of Love ceremony held at Trunk Bay on St. John. “She’s very forgiving,” Allen Strahl said when asked their secret to a long marriage. 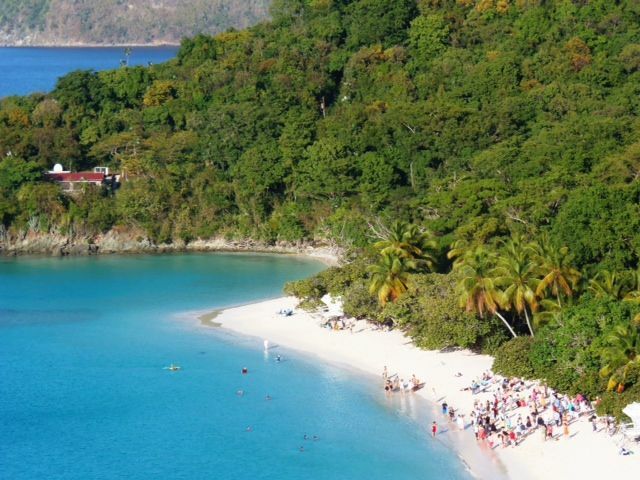 The couple, who are vacationing on St. John at a Peter Bay villa, is married longer than any of the others who renewed their vows. There were several who came close, however. 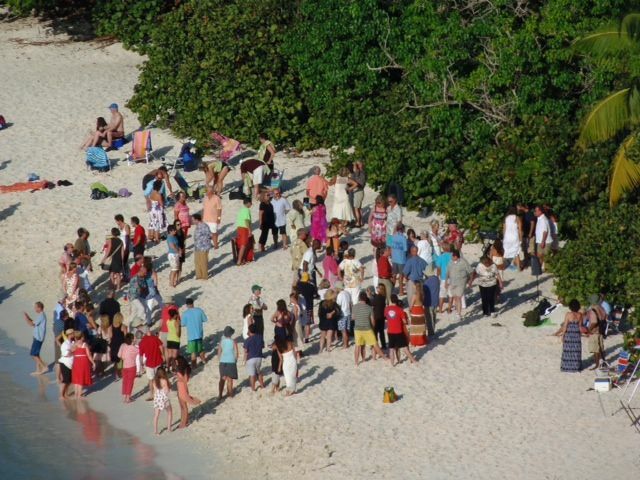 A 100 Couples renewed their marriage vowes Friday during the 12th Annual Marriage Vow renewal ceremony at Trunk Bay, St. John. The ceremony was officiated by the Rev Anne Marie Porter. “My intention is to give married couples an opportunity to honor each other and begin their marriage anew” said Porter, who has renewed the vows of over 1,100 couples in the last 12 years.